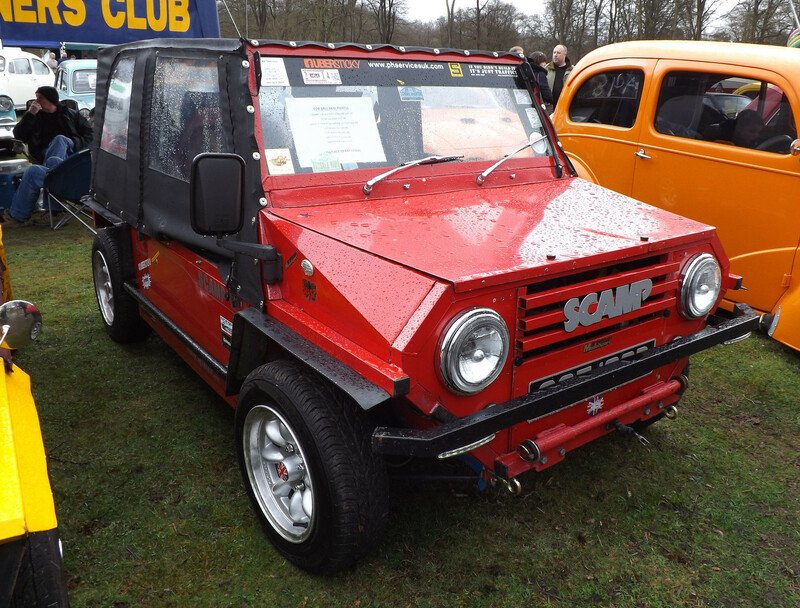 Say hello to one of the UK kit car scenes most enduring dynasties; the Scamp. 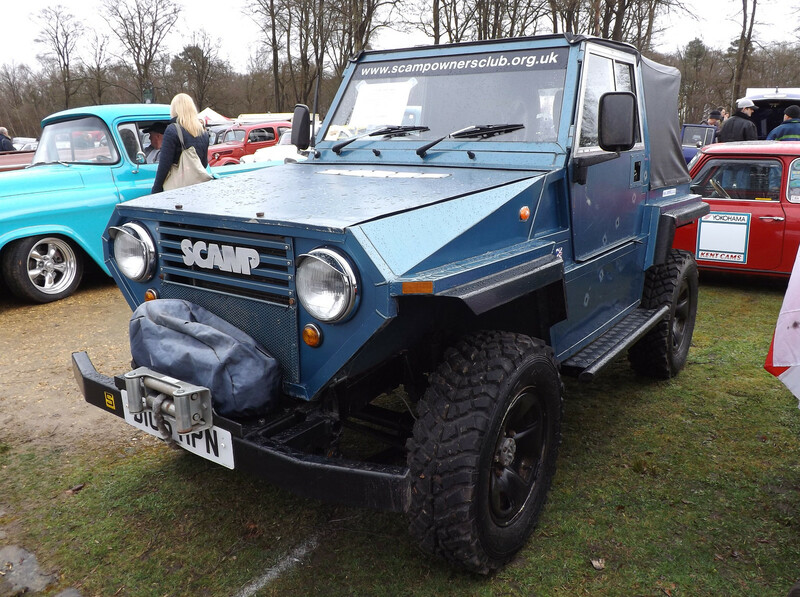 Designed and built as an all-purpose vehicle, combining many commercial and leisure roles, the Scamp has been developed over the years to become one a versatile vehicle, as both a useful everyday car as well as a capable off-roading steed. 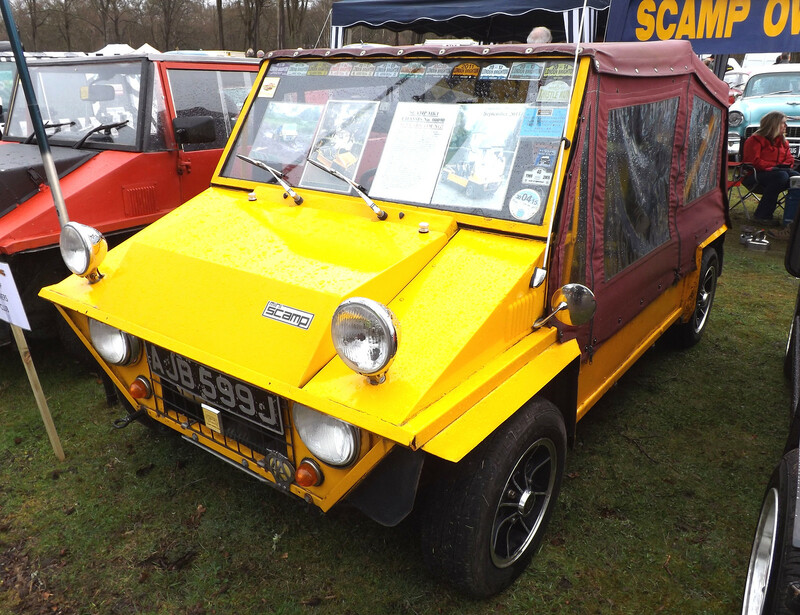 When BMC decided to axe the Mini Moke, Robert Mandry took advantage and designed the angular Mini-powered Scamp kit car that was launched in 1970. 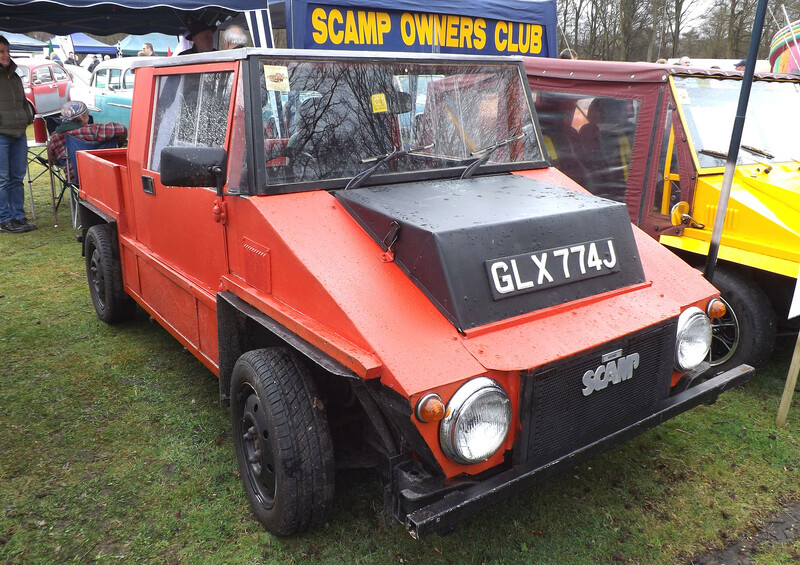 The original sloping front Mk1 cost £175, which bought you a robust tubular ERW (Electric Resistance Welded) steel chassis, clothed in aluminium sheet. Rear suspension was taken care of by the donor Mini's trailing arms while up front the famliar Mini power pack nestled safely in it’s original subframe. The finished car was of course is very much up to the owner, giving a diverse range of looks. 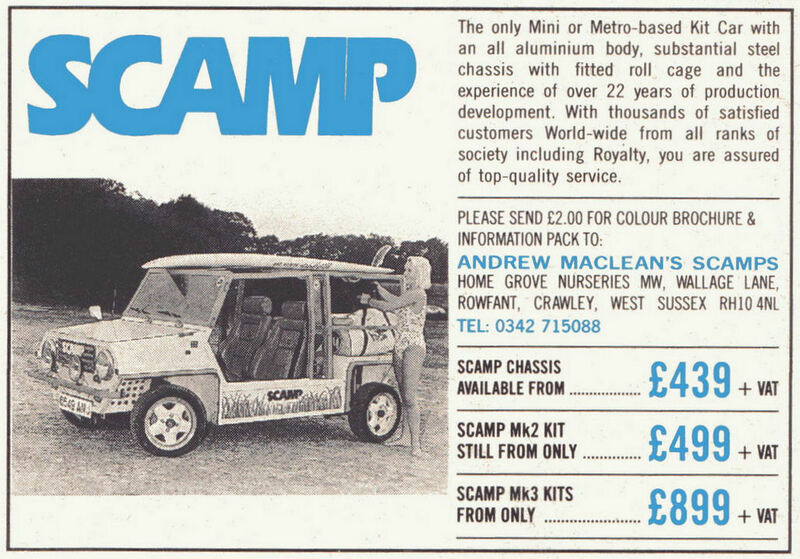 If you felt more adventurous you could order your Scamp with van, pick up or estate bodies and there was even a version with six wheels,touted as a vehicle that could be used as passenger transport in holiday camps and large factories. 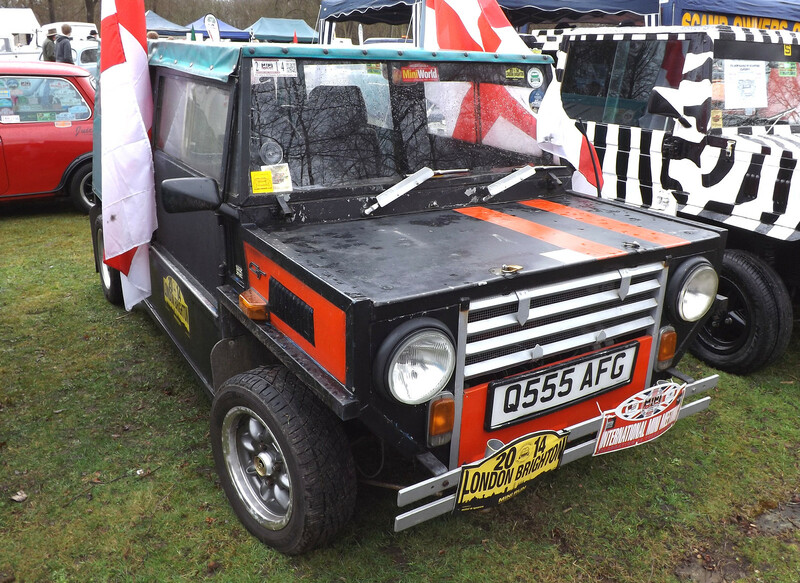 The Mk1 Scamps were popular Autotest machines; but while their robust tubular chassis resisted even the toughest corrosion, the downside was that it made the car too heavy to be really competitive against the best cut down Mini specials. 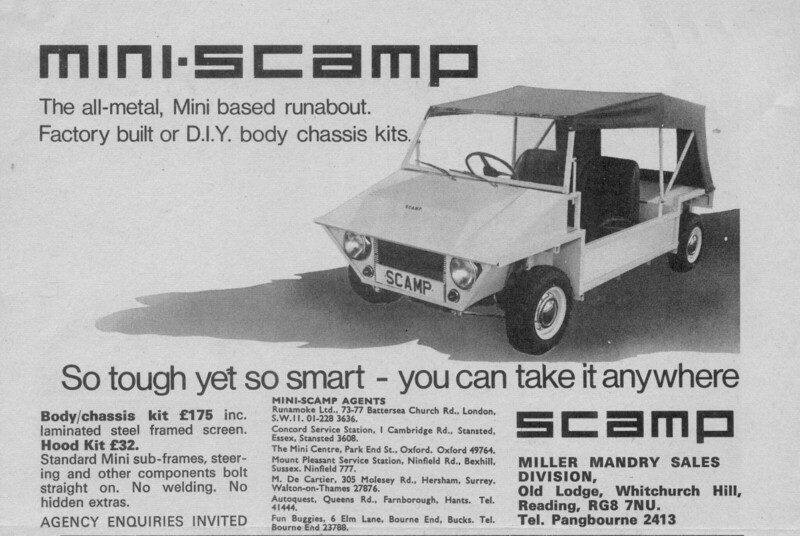 The revised MK2 Scamp was launched in 1978 and continued in production until 1990. The new boxy front wasn't like by all, but was necessary to bring the lights up to UK regulation height. 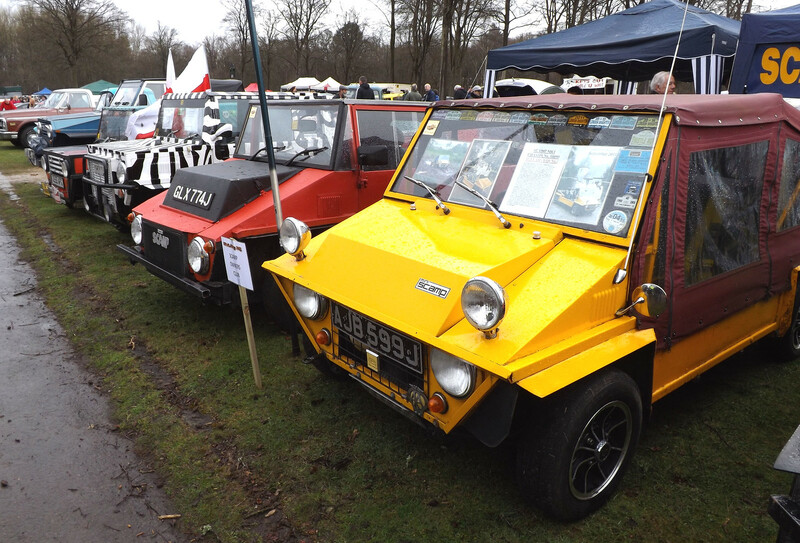 Many MK1s (like the yellow car pictured) had the main beams mounted higher up in pods, beach buggy style, because of poor lighting aim with the original low mounting. 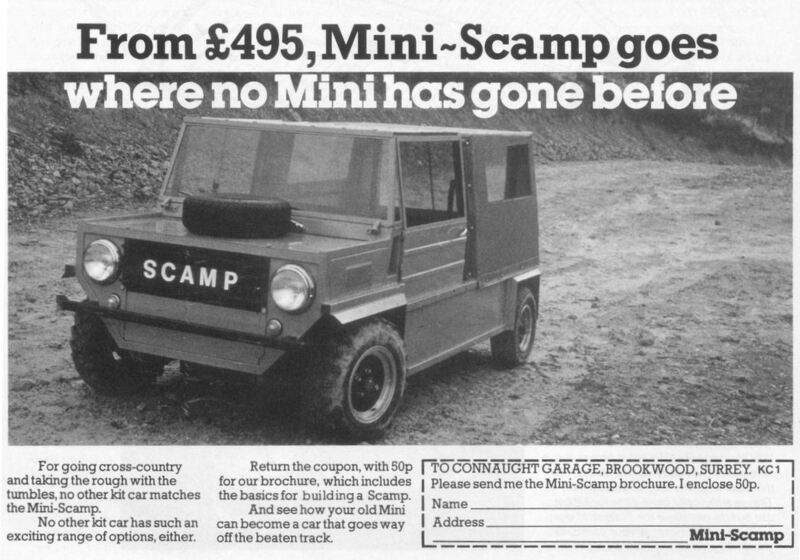 The Scamp manufacturing rights were taken over in 1987 by long-time Scamp owner Andrew Maclean, who while still producing the Mark 2, broadened the range to include the current Mark 3, available since 1989. 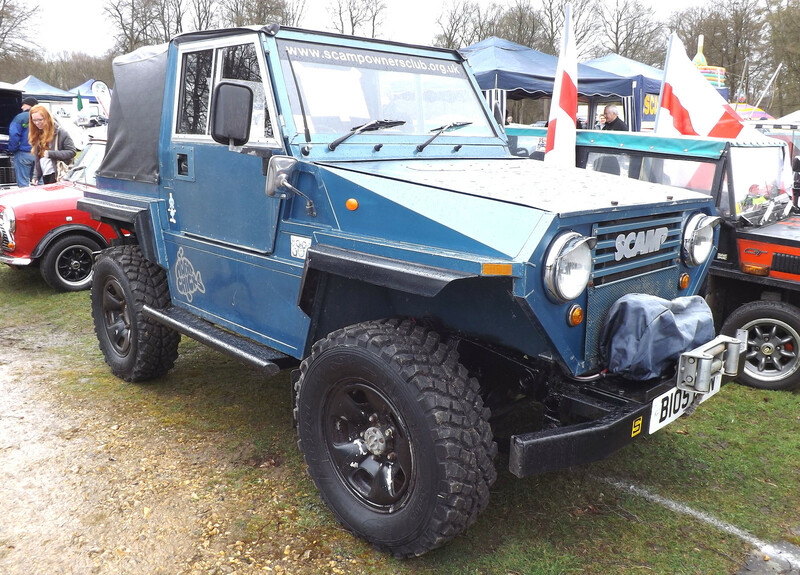 He introduced a second model to expand the range in 1996; the MK4x4 versions is based on either the Suzuki SJ410/413 or Daihatsu Fourtrak chassis and brings true off-road ability to a design that always deserved it. The Scamp has been so successful that some 3000 examples have been produced and apparently a big percentage are still in use worldwide. With options of soft and hard tops, a cab kit with doors, wheel arch extensions, tailgates, rear suspension radius arm extensions for larger wheels, choices of bumpers, bull bars, spare wheel carriers, and of course with a huge choice of different A-Series units and the myriad tuning items that legendary engine has, its doubtful that no two Scamps are the same.